Garrett Whitelock makes the whole process of finding and renting a residential property in SE1 and surrounding areas in Central London as straightforward and hassle-free as possible. Before looking for a new home to rent it's a good idea to make a list of what you're looking for. Do you want a furnished or unfurnished property? How long are you looking to rent it for? How many bedrooms do you need? Is outside space a priority? What transport links do you need to get to work? What is your budget? Once you have a clearer idea of exactly what you're looking for, pop into our office, call us on 020 3318 5532 or register and we will give you the details of a selection of properties that meet your criteria, and will continuously update you via email and telephone when new properties become available. At this stage, it's also worth thinking about what referees or guarantors you may need when you find a suitable property, in order to avoid delays further down the line. Once you have found a property - or properties - that you'd like to view, please call our lettings team on 020 3318 5532 to make an appointment. Due to the fast-paced nature of the London rental market, early viewings are always recommended. At Garrett Whitelock we accompany all viewings so that we're on hand to answer any questions you may have about the particular properties you're interested in, and about our lettings service in general. Our office hours are Monday to Friday, 9am - 6:30pm, and Saturday 10am - 4pm, but we regularly conduct viewings outside these times to suit the needs of our customers. Once you have found a property that you'd like to rent, you can make an offer, stating any particular conditions, which we will put forward to the landlord for consideration. If your offer is accepted, we will then ask for a holding deposit (usually one week's rent) while references are taken up and credit checks are undertaken. We engage the services of an independent third party referencing company for this purpose. In the unlikely event that the landlord withdraws the property from the market, the holding deposit will be returned to you in full. To avoid any unnecessary delays, as a tenant you can check the status of your prospective tenancy at any stage of the process using Garrett Whitelock's online platform, My Property File. Once all credit and reference checks are completed, we will draw up a tenancy agreement to be signed by all parties. Upon payment of your deposit and first month's rent in advance, you are free to move in. Garrett Whitelock then places your deposit with the Deposit Protection Service, and it will be returned in full at the end of the tenancy, as long as there is no damage to the property and the full rent has been paid. Please note that sharers are usually jointly and severally liable for the rent, so if one person leaves before the tenancy expires, the remaining tenants will still have to pay the rent in full. On the day you move in, we will arrange for an inventory clerk to check you into the property and hand over the keys. Together you can check the condition of the property and its contents, read the meters and sign the inventory. You then need to inform the utilities companies that you are now responsible for the bills, and contact the local council to advise them that you will be paying the Council Tax. Whilst it's the landlord's responsibility to insure the flat and any furniture/contents that are included in the rental, it's a good idea for you to insure your personal possessions. Now all that remains is for you to settle in and enjoy your new home! Step 6: What if there are any problems after I've moved in? When you move in, you will receive a welcome letter telling you who to contact in the event of any problems arising. 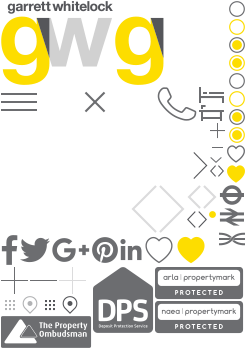 If your property is managed by Garrett Whitelock, this will be the name and contact details of your Property Manager. Alternatively, if the property is managed by your landlord, it will contain their full contact details. Please ensure that you have made arrangements to pay your rent on time to avoid any embarrassing calls chasing you for unpaid rent. For any questions concerning your tenancy agreement, break clauses, payments or renewals, you should contact Garrett Whitelock's Lettings Department, who will be happy to assist. This is a real 5-star agency. I rented my first flat in London with them. They helped me in each part of the process with endless patience and happiness. They really care about their customers and I'm glad to be one of them. I rented my first apartment in London a few days ago through Garrett Whitelock and the whole experience was hassle-free and professional. They even put a gift box in my new home with useful items like tea bags, sugar and kitchen roll - a really nice touch. I'd heard a lot of horror stories about estate agents in London, but these guys were great and I'd recommend them to anyone.